Automation hasn’t replaced humans yet when it comes to reading bank statements in the alternative small-business finance industry. ISOs, brokers, funders and underwriters still fend off drowsiness and ignore the risk of eye strain as they pore over months of paper or electronic documents. Many consider the drudgery a necessary part of the business. 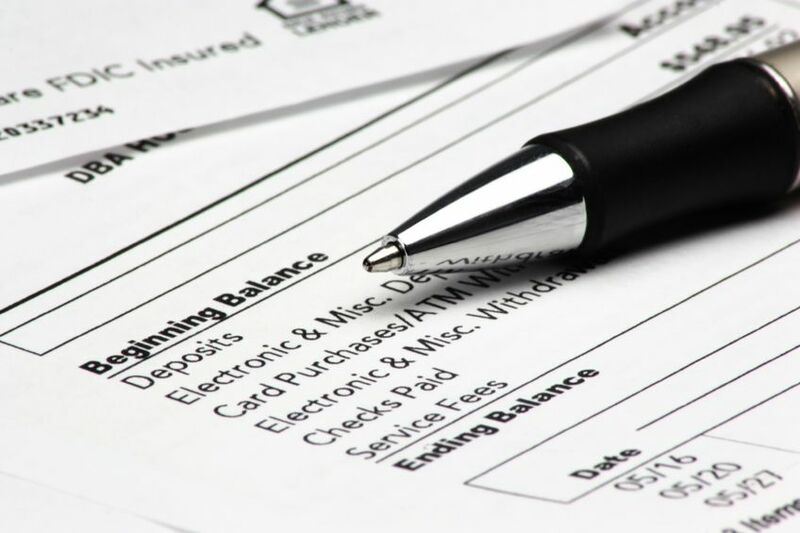 A merchant’s bank statements can reveal negative balances and commitments to previous loans or previous cash advances – any of which can indicate a bad risk, observers say. Moreover, detecting altered statements can expose fraudulent attempts to obtain credit, they add. So why not dispense with the tedium and possible tampering of reading paper statements and pdfs? 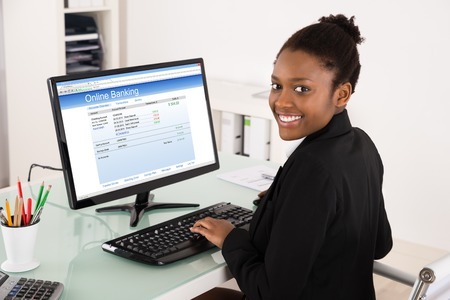 Instead, interested parties could simply obtain the login credentials for a credit or advance applicant’s bank accounts and explore their banking records firsthand. But a mixture of fear, fraud and expense often prevents that direct and relatively simple approach, multiple sources contend. 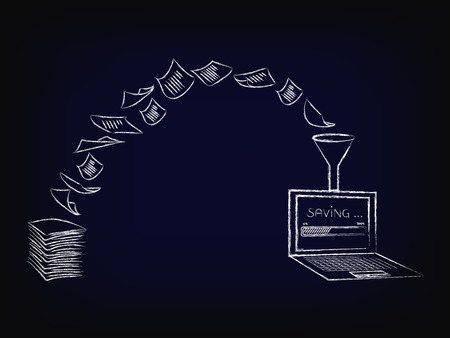 “Merchants simply don’t want to give up their username and password to enable someone to log into their bank account,” says Sam Bobley, CEO of Ocrolus, a company that specializes in automating the reading of paper statements and statements that have been converted to PDFs. Fear of somehow falling victim to an electronic robbery may be at the root of that reluctance, many in the industry agree. Whatever the source of the hesitancy to share login information, the wariness usually seems more pronounced at the beginning of the underwriting process than toward the end, notes Arun Narayan, senior vice president of risk and analytics at Strategic Funding Source Inc., a New York City-based direct funder. “I don’t think that’s a problem after the commitment to fund,” he says, “but it is a problem before the commitment to fund.” Funders can try to leverage their market power to urge brokers to obtain a username and password from a merchant, Narayan suggests. But he admits that approach works only some of the time. Merchants who have had a bad experience applying for loans or advances or are submitting their first application exhibit the most fear of surrendering login credentials, according to John Tucker, managing member at 1st Capital Loans, a broker with headquarters in Troy, Mich. “If they’ve been through the process before, they pretty much know what’s expected of them,” he says. All too often, applicants balk at presenting their login information because they have something to hide, notes Cheryl Tibbs, owner of One Stop Commercial Capital, an Atlanta-based brokerage that handles deals for multiple ISOs. She says her detective work with bank statements uncovers an average of two fraudulent applications per week. Attempts at fraud average more than five a day at Elevate Funding, a Gainesville, Fla.-based director funder, says CEO Heather Francis. Her company’s underwriters learn what to look for in bank statements that can indicate a merchant is trying to defraud a funder, she says. First, an underwriter who’s manually checking bank statements knows that documents bearing the names of certain banks have a higher likelihood of being bogus, Francis says. Apparently, fraudsters find the statements from those banks easier to alter, or perhaps they have the templates for those banks and can plug in false information, sources speculate. Besides, anyone hoping to bilk a funder can buy a customized “vanity statement” for $25 or $30 on craigslist, complete with whatever deposits, opening balances and closing balances they choose, Francis notes. That can tempt troubled merchants as well as outright criminals, observers agree. And some of the more bizarre errors that appear in falsified statements can seem almost comical. Tibbs cites the example of a statement she saw that was supposedly for January but was populated with transactions dated in February. On altered statements the ending balance for one month might not match the beginning balance for the next month, several sources note. Sometimes the fake numbers that wayward applicants choose to include in their fraudulent statements can send up red flags, Tibbs maintains. If a merchant is seeking $40,000 and presents account documents indicating $80,000 or $90,000 balances at the end of each month, something’s amiss “10 times out of 10,” she says. Tibbs tells the story or a referral partner from a one-or two-person ISO calling her in a state of near-euphoria in the middle of the night, breathlessly describing a potential customer with monthly sales of $800,000 and a need for $500,000 in capital. Experience told her immediately that something wasn’t right. In the morning, she saw the statement’s ending balances of $300,000 to $400,000, which confirmed her suspicions. Yet grafting such unlikely numbers to a forged bank statement isn’t as unsophisticated as some of the telltale signs that the industry sees when viewing bank statements manually, notes Francis. Some aspiring crooks doctor genuine statements with white-out correction fluid and then type in new numbers in a mismatched font, she says. Anyone reading bank statements should also beware of applicants who “shotgun” applications to multiple ISOs, often on the same day, Tibbs warns. She often comes across that scam because numerous partners refer deals to her, she says. Whether paper or pdf bank statements prove to be on-the-level or not, reading them manually takes time. An experienced underwriter who knows where to look for what he or she needs to find to verify a statement requires 15 to 20 minutes to approve one from a familiar financial institution, Francis says. It seems that nearly every bank or credit union has its own way of designing statements, so the manual reading process slows down when an underwriter manually reads a document with an unfamiliar layout, Francis notes. Unfamiliar types of statements sometimes come from small, obscure credit unions or remote community banks, observers say. Familiar or unfamiliar, statements represent a key part of the underwriting process, and some funders accept the time and expense of reading them manually as simply a cost of doing business, according to Francis. But that expense can become a significant portion of the cost of a credit evaluation, according to Narayan. That’s why Narayan and his colleagues at Strategic Funding Source have been working with Ocrolus, a startup company that automates the reading of paper statements and pdf’s of statements. Ocrolus uses optical character recognition, or OCR, to automate the reading of those statements. Simply stated, OCR enables a machine to make sense of the characters it perceives in an image, says Bobley, the Ocrolus executive quoted earlier. When the platform can’t make out certain data points, they’re snipped and verified by humans in crowdsourced mini CAPTCHA tests, which stands for Completely Automated Public Turing. They’re those tests that ask computer users to type what they see to prove they’re not robots, Bobley notes. When two of three crowd workers agree on what an image says in the CAPTCHA test, the Ocrolus platform accepts their verdict as correct, he says. Ocrolus envisions a large market for its new platform among the many funders still reading bank statements manually in the early stages of underwriting, Bobley says. However, in the later stages of underwriting many of those funders already use bank sync companies to verify statements. Bank sync companies include DecisionLogic, MicroBilt, Yodlee, Plaid and Finicity. They connect directly with some financial institutions to verify statements. Funders often mention the expense when they talk about bank sync companies, and they also note that bank sync companies have not yet established connections with some lesser-known financial institutions. But late in the funding process, Elevate Funding requires merchants to cooperate with the bank sync company it uses unless extenuating circumstance dictate otherwise, says Francis. The bank sync company can gain direct access to statements using encrypted login information that does not reveal the true username or password to Elevate Funding or the bank sync company, she maintains. Some of Elevate Funding’s brokers maintain portals that merchants can use to provide their login credentials to get the bank sync process underway, Francis notes. The portal takes merchants to a page with Elevate Funding branding through a white-label program the bank sync company provides. In about 85 percent of Elevate deals, the bank sync company is connected with the merchant’s financial institution and therefore theoretically capable of gaining access to the accounts in question, Francis notes. Over the past 30 days the Elevate Funding bank sync results included 3 percent bank error and 17 percent merchant error, while 73 percent of the statements were verified, Francis says. Bank error occurs when the bank sync company is connected to the bank but still can’t obtain the account information. Merchant error sometimes happens when the potential client provides an incorrect user name or password, probably after forgetting the right one. Merchant error can also mean that the applicant was plotting fraud and abandoned the bank sync process upon realizing he or she was about to get caught. The upshot? Some 73 percent of the bank statements submitted are verified, meaning that the information the merchants submitted matches the numbers at the bank, Francis reports. That also means that for whatever reason 7 percent don’t even start the process they’ve requested, she says. Meanwhile, the bank sync connection also provides real time data that would indicate to the funder whether the merchant has had a decline in sales, an increase in negative activity or the recent addition of a credit provider, Francis says. But what about those cases where the bank sync company can’t connect with the financial institution and the merchant still won’t give up the login for the account? At 1st Capital Loans, Tucker can sometimes handle the situation by getting a bank activity sheet that lists transactions. If that type of sheet’s not available, he arranges a phone call to with a representative of the bank to verify that nothing’s amiss with the applicant’s bank account. It’s another example of how – even with today’s rampant automation – the human touch sometimes remains indispensable in assuring that merchants deserve the loans or advances they seek.